EIB is the “European Union’s bank”. A not for profit bank that was established in 1958 in order to rebuild Europe after the Second World War. In the meantime it has grown into the largest international financial institution (IFI) in the world. It provides money and expertise for “projects that contribute to EU policy objectives.” Essentially, its work involves lending money to projects that help to develop EU (and other) countries such as infrastructure, green energy and small and medium enterprises. How much of its investments are outside of Europe? 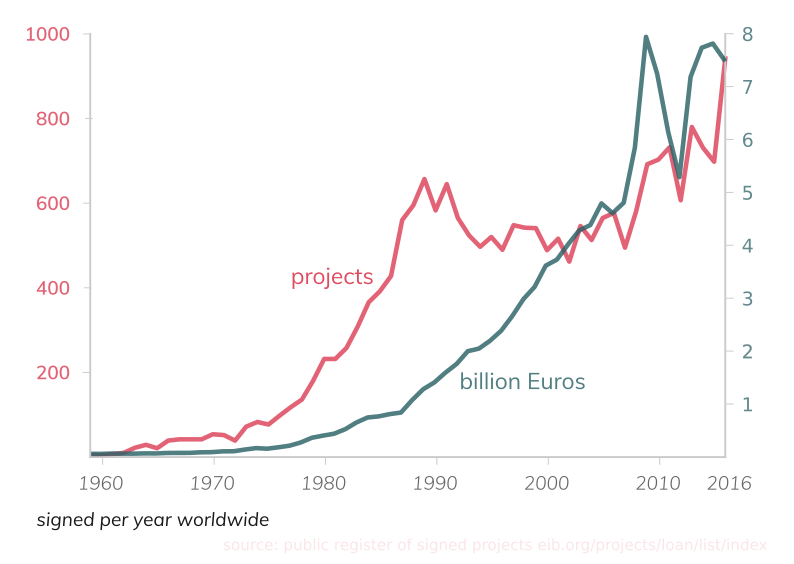 About ten percent of EIB portfolio finances projects in 150 countries outside of Europe. How does the bank raise money? It sells its bonds on capital markets. It is also managing facilities entrusted to it by EU institutions, such as the Investment Facility for ACP countries. What is the ACP Investment Facility? Part of the European Development Fund entrusted to the EIB. It is a revolving fund, meaning that the repayments and interest are reinvested in new projects. It also offers grants. Which are the ACP countries? 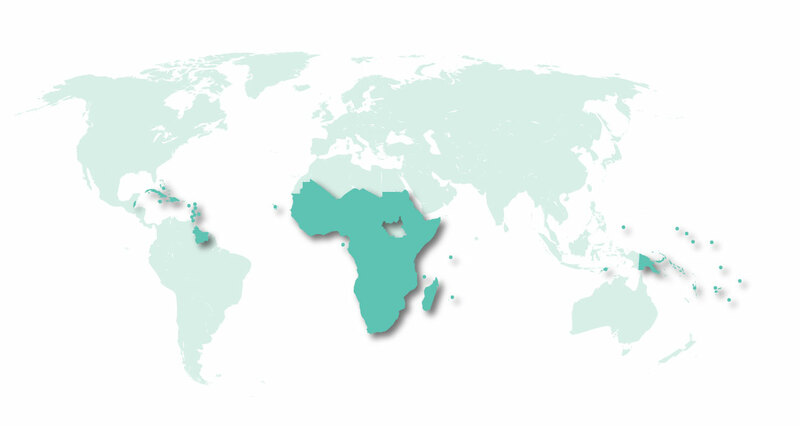 The African, Caribbean and Pacific Group of States (ACP) is a group of countries in Africa, the Caribbean, and the Pacific that was created by the Georgetown Agreement in 1975. 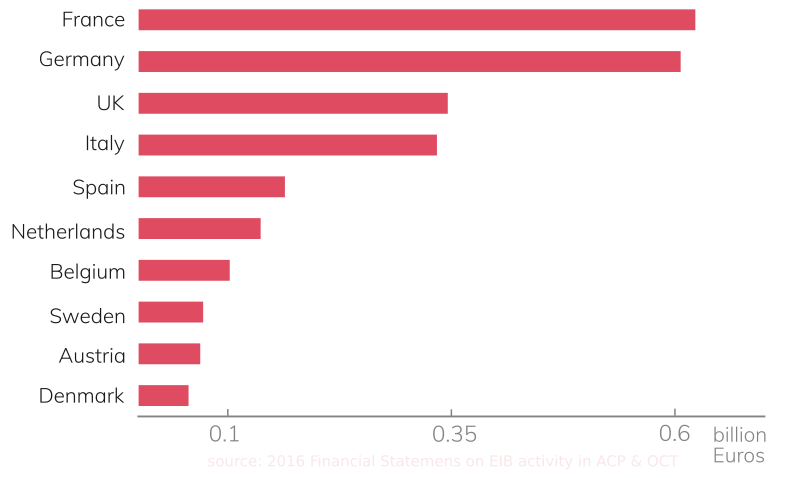 How long has the EIB been active in the ACP countries? A treaty between the European Union and the ACP states. It is aimed at the reduction and eventual eradication of poverty while contributing to sustainable development and to the gradual integration of ACP countries into the world economy.